This post was sponsored by Shutterfly through their partnership with POPSUGAR. While I was compensated by POPSUGAR to write a post about Shutterfly, all opinions are my own. 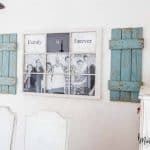 I have been an avid scrapbooker for almost two decades and recording our family memories is part of the fabric of my life. I have to confess the process is a lot harder than it used to be. 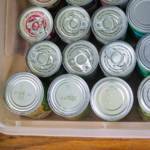 I am two years away from finishing our homeschool journey of 21 years. Somehow I always imagined in this new season of life I’d be kicking back and raking in the accolades while resting on a beach in the Bahamas. Boy, was that a daydream! 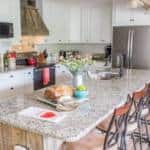 As a working mom with one homeschool student, busy adult kids and a new grandson, there are many demands in my life, just like there are in yours. 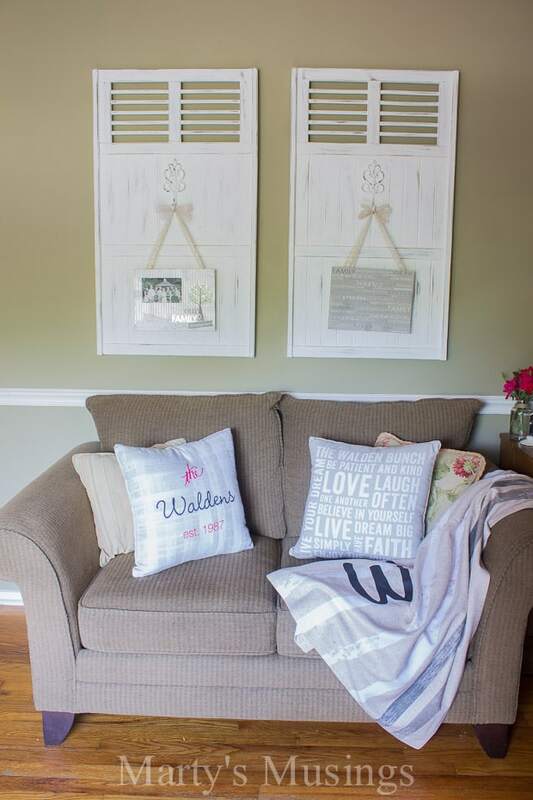 One of the ways I make sure to capture our family memories is to incorporate our photos and memorabilia into our home decor. 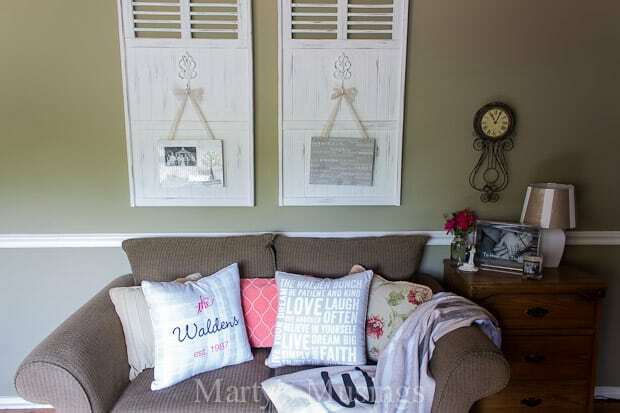 Even if all of our family isn’t physically present in the house I want the pictures of our lives to surround me, like in this gallery wall and old window photo frame. 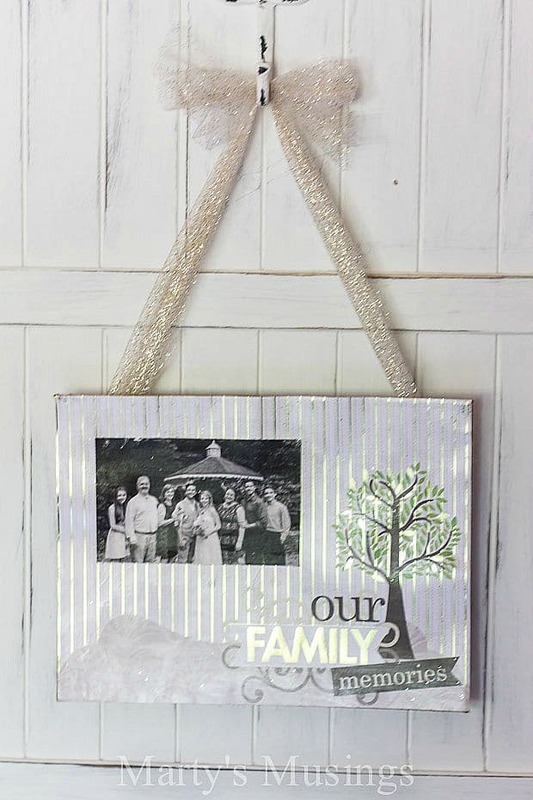 Most of you have probably heard of Shutterfly, the online source for photo books. 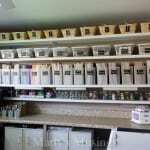 But did you know they also produce a wealth of other imaginative products including photo gifts, home decor and more? 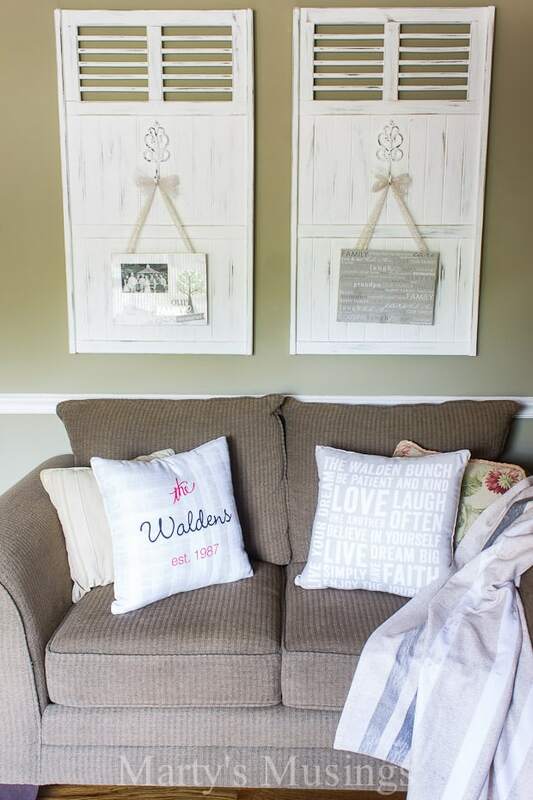 I had no idea but I was like a kid in a candy store when I went shopping online and picked out a few items to refresh a small corner of our living room and add a little “Walden” personality! This is actually a space I haven’t shown before because it just felt unfinished. 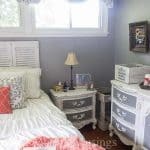 I got these amazing shutters at a yard sale last year (if you follow me on Instagram you might have wanted to steal them from me!) for $1 and that included two copper flower containers I stashed in the attic. Can you believe it? I love a good deal! 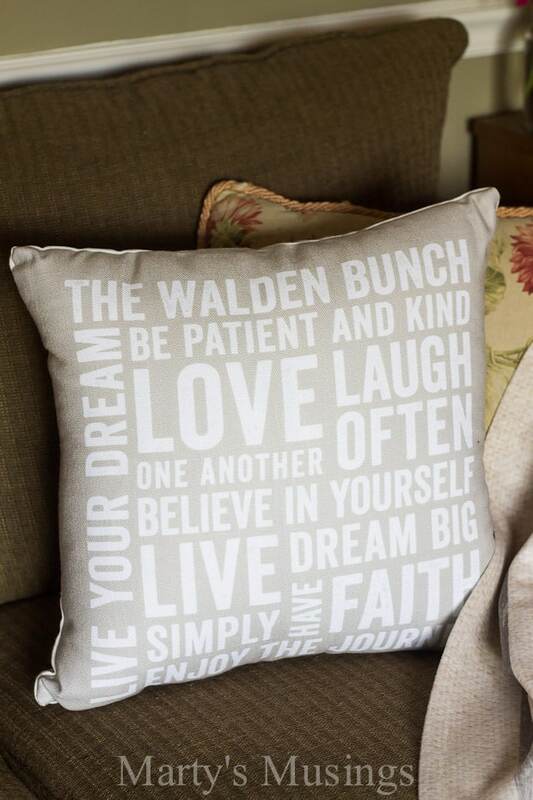 This ivory pillow with the “Waldens” and our wedding date of 1987, together with the “Waldenbunch” pillow (the nickname we’ve always used) is a cozy, visual reminder of our family mantra. 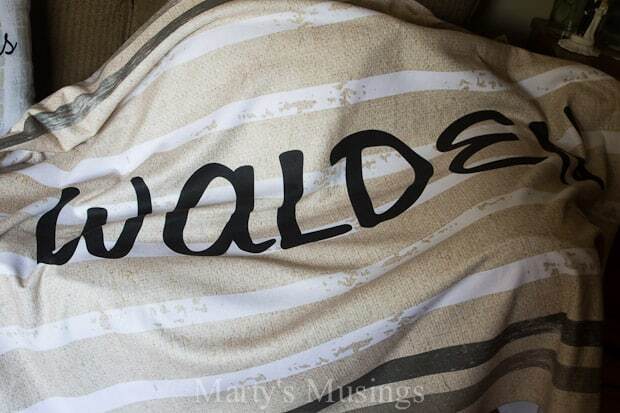 We are a family that adores cuddly blankets and this fleece photo blanket with Walden on it (are you catching a theme here?) will be in high demand. It is amazingly soft and our cats will probably lay claim to it first! The remaining little corner is this “naturally” distressed chest, which only means it’s seen better days, has a crack in the top and I’ve never gotten around to actually sanding it to “really” distress it! 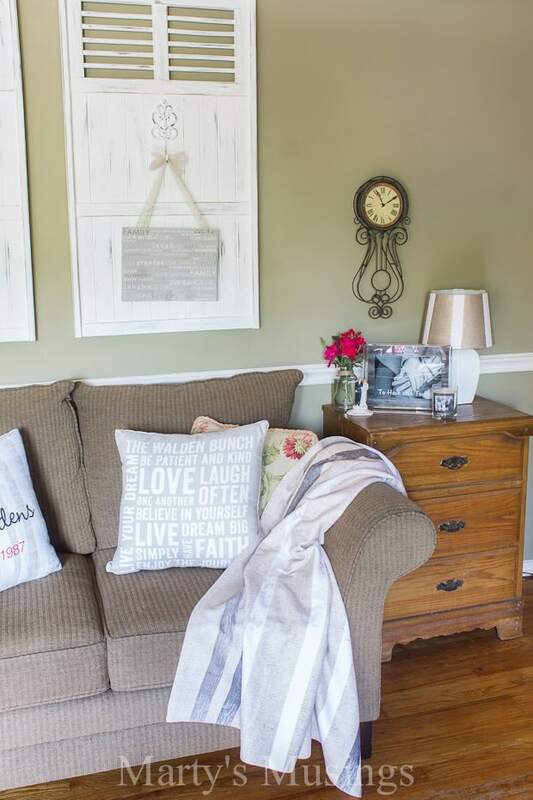 I’m not the best at creating vignettes but I do love the way this one turned out because everything about it just speaks love. 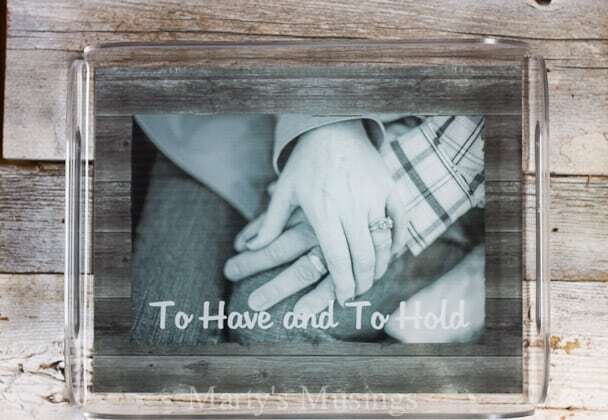 I used a picture from our 25th anniversary photo shoot and the words “to have and to hold” for this serving tray. This beautiful 9 oz. 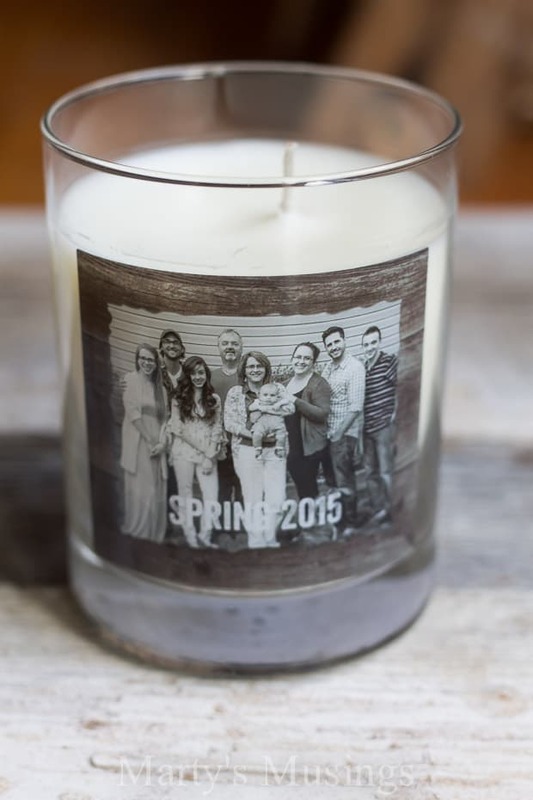 scented candle holds our family picture from this past Easter. 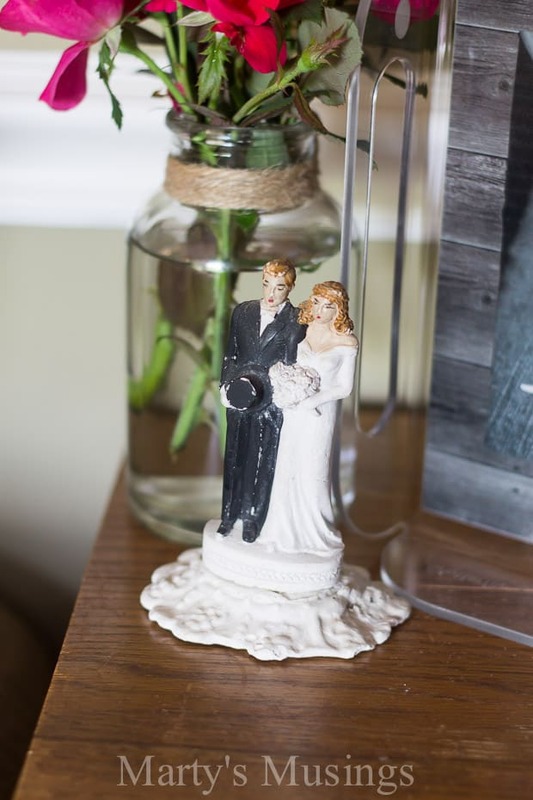 I included my parents wedding topper, which is even more precious to me since they passed away. 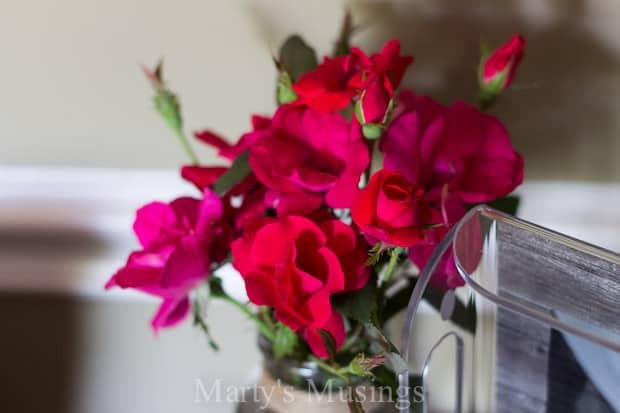 Nothing says love like the fresh roses that welcome all to our home. How do you like my “refreshing” new space? Which part is your favorite? Aww! 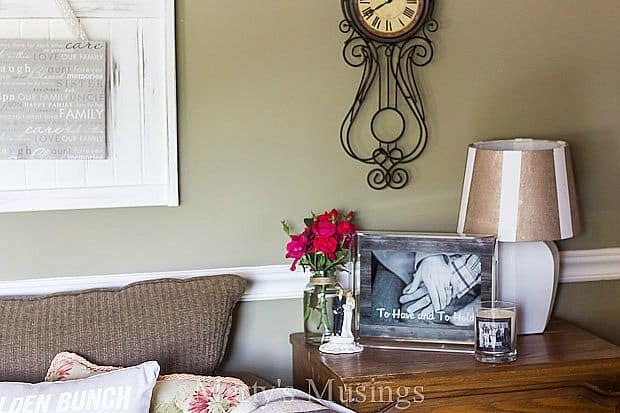 So beautiful and so many great memories all in one space! And you are right! I want to steal the shutter from you!!! 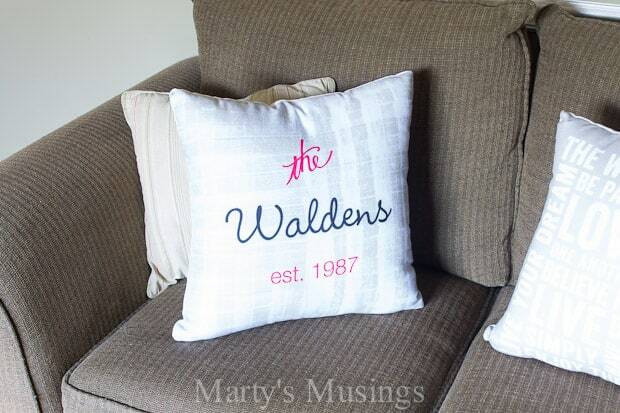 I always love personalized items. As everything is personalized here, I don’t know which one to chose. 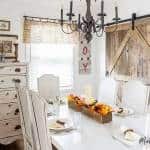 But I would say my most fav one is the candle and serving tray. Thank you for sharing with us at #HomeMattersParty. We would love to have you again next week.